BMW Abu Dhabi brings us another interesting BMW project. 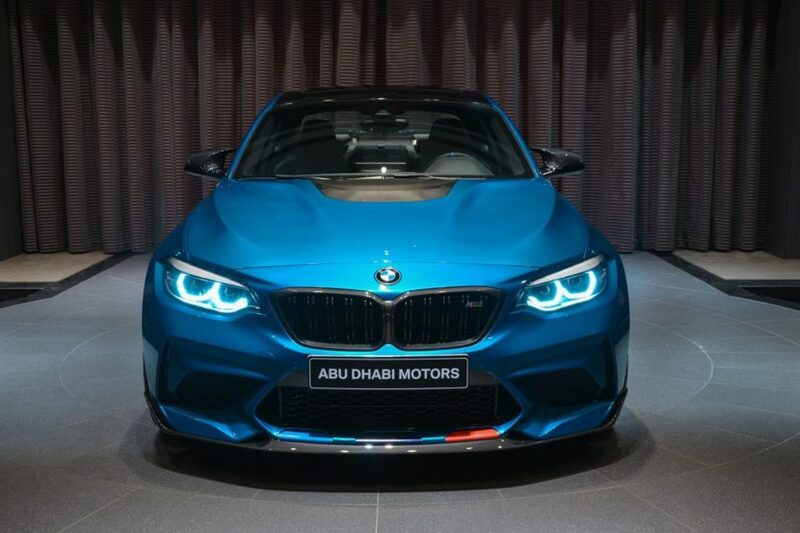 Using the BMW M2 Competition as the base car, the folks in Abu Dhabi have decided to enhance the sports coupe’s look by using the full extent of the M Performance catalog. 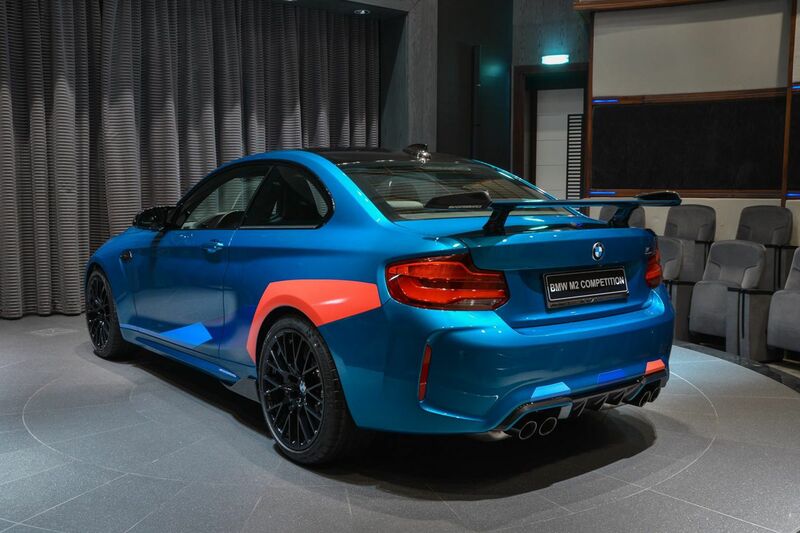 Painted in the stunning Long Beach Blue color, the exterior design also gets a livery upgrade from the M division aiming to show its sporty side. Next on the list of upgrades is a carbon fiber front lip paired with the racing wing in carbon fiber, both working together to increase downforce. Additional lightweight parts made of high-grade carbon fiber save additional weight. 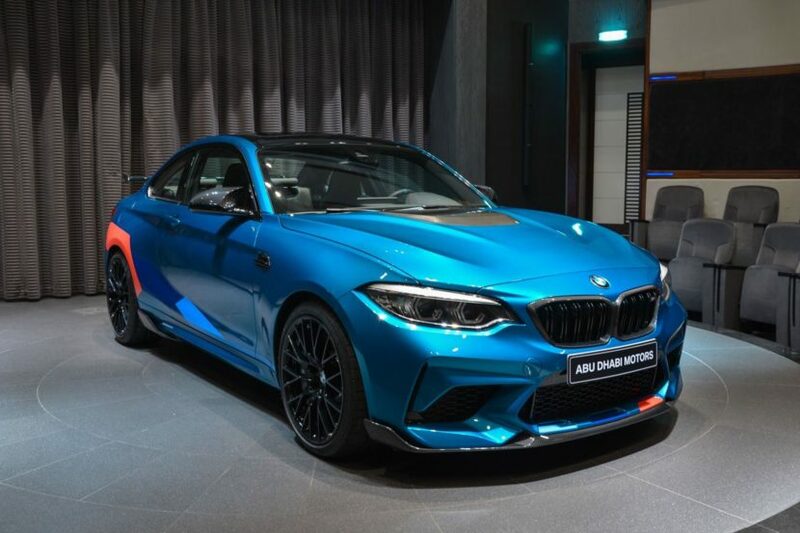 The newly developed M Performance bonnet made of carbon fiber with partially visible varnished carbon fiber is not only a real eyecatcher; this is also the first time the BMW M2 Competition boasts a powerdome. This engine hood reduces the load on the front axle by approximately nine kilograms, too. 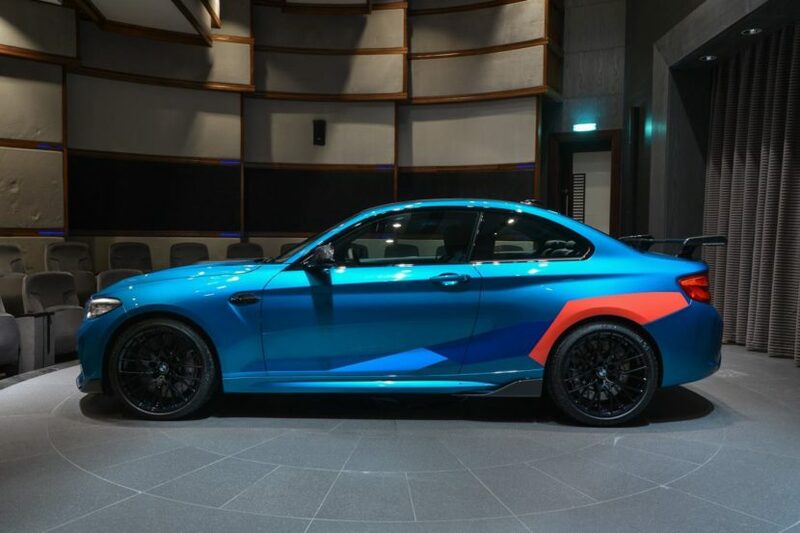 Other M Performance Parts installed on the car are the following: kidney grille in carbon fiber, air breather side bars in carbon fiber, exterior mirror caps in carbon fiber, door sill finisher in carbon fiber, side skirt extensions in carbon fiber and rear diffusor in carbon fiber. 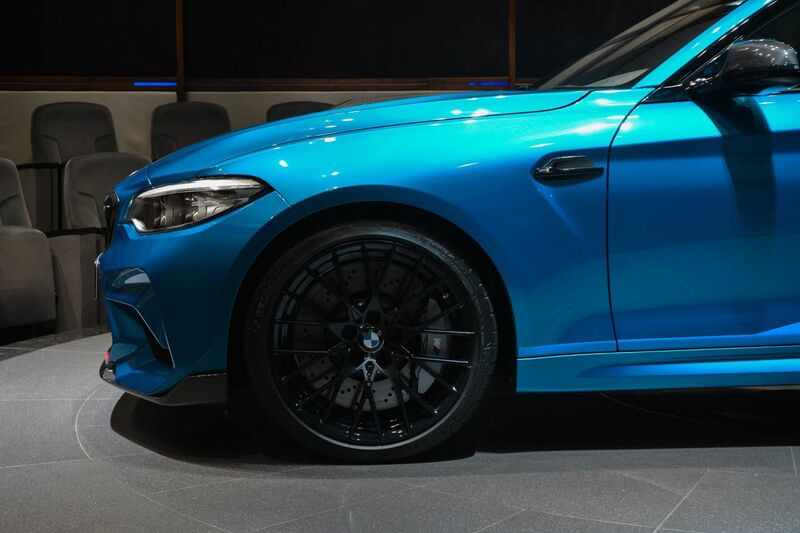 Lrger, internally ventilated and perforated BMW M Compound Brake Discs were added to the M2C as well ensuring improved thermal resilience as compared to the series production brake system. Aluminum 6-piston fixed calipers on the front axle and 4-piston fixed calipers on the rear axle generate more brake force under extreme conditions. Inside, there is an M Performance steering wheel with race display, Alcantara covering and open-pore carbon fiber. In the footwell, the M Performance pedal covers in stainless steel and M Performance floor mats provide further dynamic touches. 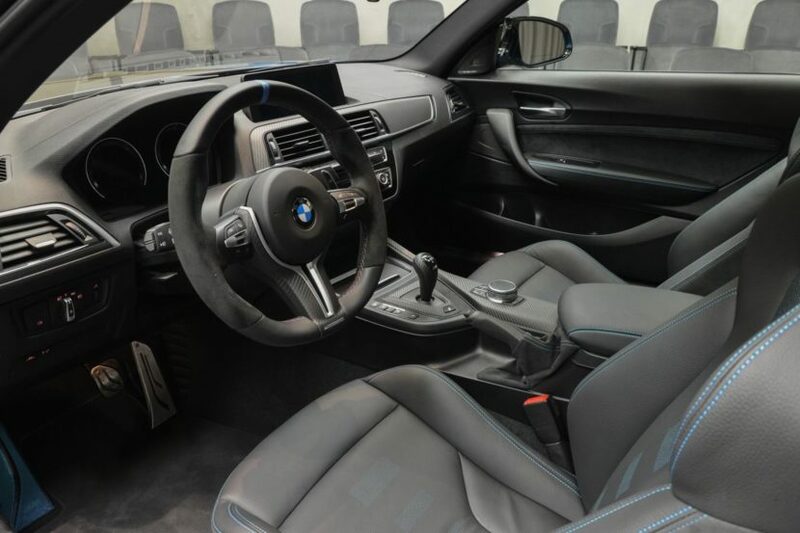 High-grade parts for the gearshift lever knob/gear selector switch, double-clutch transmission and hand brake handle are featured in the carbon fiber/Alcantara M Performance interior kit. 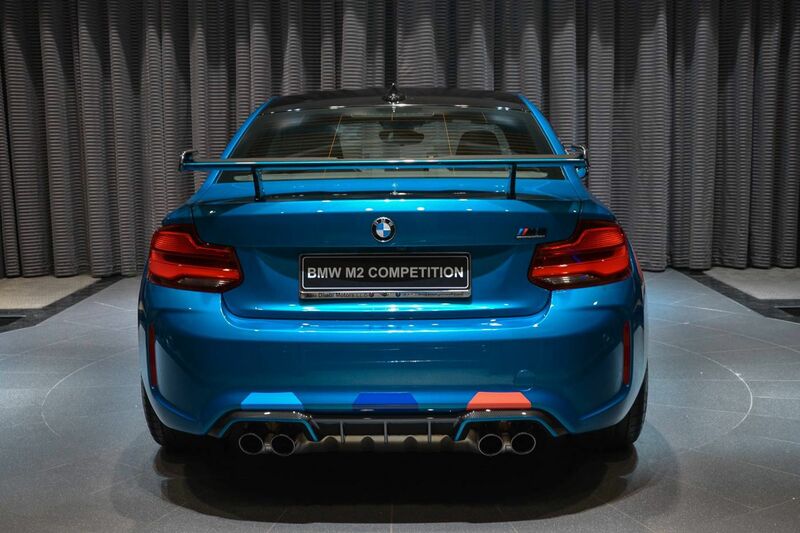 Until the M2 CS arrives in 2020, this is the best M2 Competition money can buy.